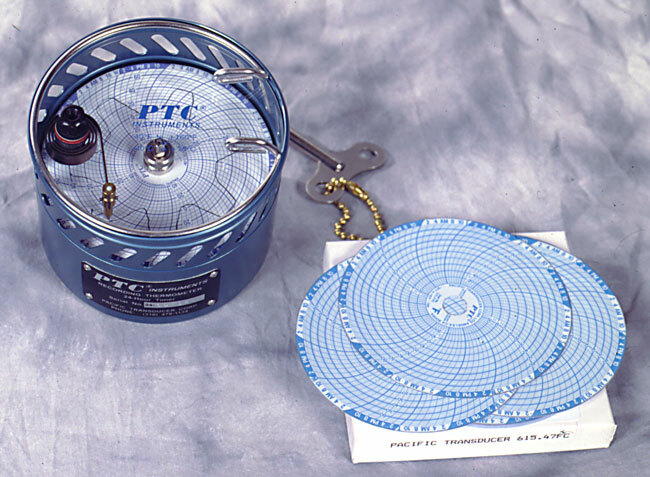 This thermometer uses a spring-wound chart mechanism and has been electronically timed for accuracy. The model 616 is intrinsically safe and was designed for monitoring environmental and processing conditions of temperature-sensitive commodities. 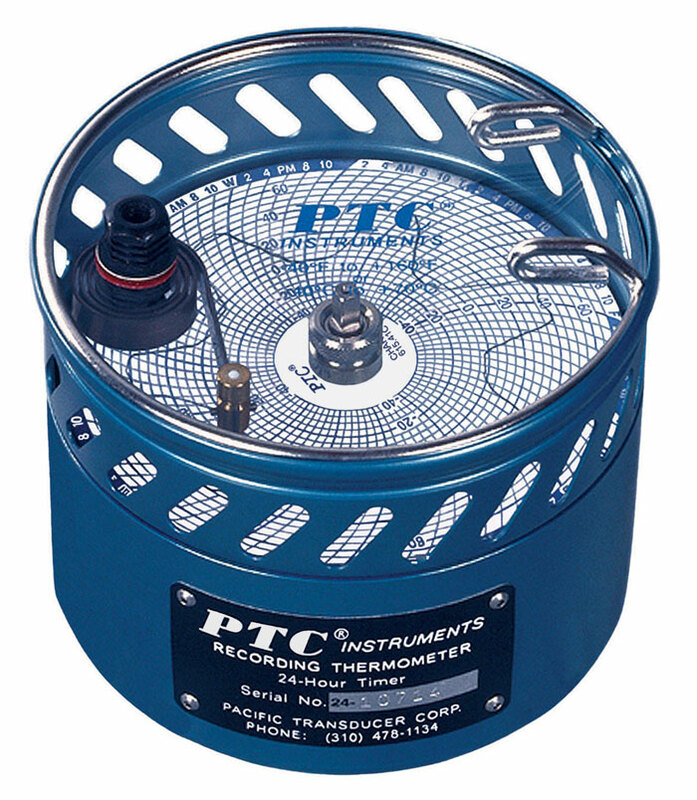 PTC®'s Time Track Recording Thermometer permanently records temperature versus time with both accuracy and reliability. These portable, self-contained units feature a bimetallic sensing element and mechanical clock movement for the ultimate in reliability. The redesigned scriber and inkless charts produce an easy to handle and store permanent record. Monitoring and recording temperature readings are essential to maintaining the safety and quality of perishable and temperature sensitive products such as food products, chemicals, pharmaceuticals, blood, floral and ammunition. 100 charts are included with the purchase of a 616 Time Track Recorder. The 3-5/8 inch diameter paper charts are pressure sensitive and plastic coated in white. Time and temperature graduations are printed in blue. The stylus scribes a permanent temperature-time trace in black. Accuracy......................±2% of full scale range. Shipping weight...........................4 lb. (1.8 kg).